If you really think there's a dot, you need to send it for certification. Lightw4re wrote: If you really think there's a dot, you need to send it for certification. I heard it is very long and costly process. It is going into a process shortly to a 100 times magnification to confirm the coins dot and bar. I guess if it is a legal dot it will be retirement money in the future. 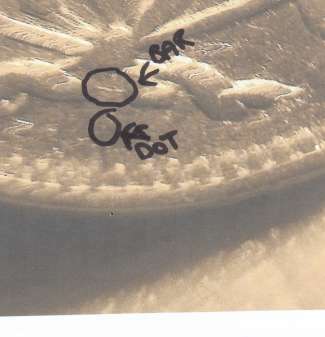 There have been many many "fake" dots applied to all of the '36 coins, some looking better than the others. I wouldn't plan on your retirement just yet .. die chips (that leave a dot) are plentiful through all the 1920-150 coinages.